2018 hasn’t quite gone to plan for Aleix Espargaro and Aprilia. Here, the Catalan reveals the issues that have plagued the season so far, and why he still plans to finish his career with Aprilia. If we’re to take his word, the brief two-week summer break came at just the right time, offering a brief chance to relax, reflect and recharge. 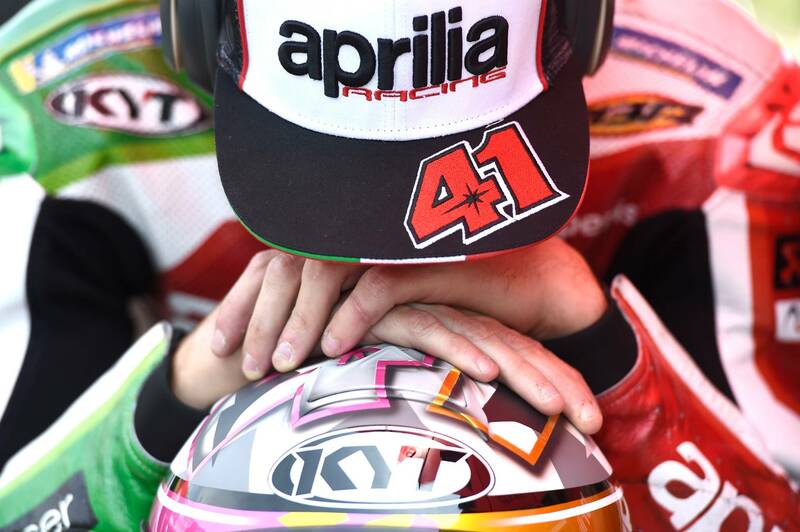 There’s no dressing it up: the season’s first half has been a struggle for Aprilia. And this was Aleix in conversation with Crash.net in the Netherlands, before a warm-up crash bruised his ribs and put him out of the German Grand Prix. It doesn’t take a stretch of the imagination to identify the source of Espargaro’s frustration. 2018, his second year with the Italian marque, was supposed to be an upturn on last season, when several outstanding results (sixth in Qatar, seventh at Aragon) were contrasted by repeated mechanical failures. But as it stands he sits 18th in the championship with just 16 points to his name. In Espargaro’s hands the ’18 RS-GP remains an upgrade on last year’s model. Yet Suzuki’s vast improvement coupled with the consistency of Yamaha, Honda and Ducati’s satellite contingent has resulted in that illusive top six appearing further away than before. Those technical gremlins haven’t disappeared either, with outings in Qatar, Argentina, Jerez and Barcelona beset by mechanicals that resulted in Espargaro appearing listless and deflated in the hours that followed. What had already been a challenging few months couldn’t have been helped by news that crew chief Marcus Eschenbacher will switch Aprilia for KTM at the end of the year. The racing front isn’t all doom-and-gloom, either. The promise of Aprilia piecing together a new test team for 2019 bodes well. As does the signing of MotoGP race winner Andrea Iannone, a move that may result in greater tension within those garage walls, but should offer greater direction going forward. There remains the sense that Espargaro is entirely wedded to this project, too. 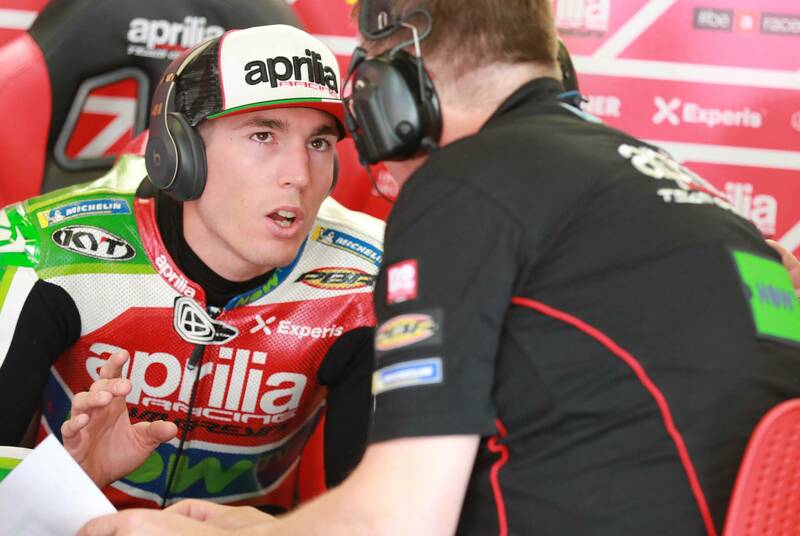 Soon after Iannone’s signing, Espargaro detailed how he had urged Romano Albesiano, Aprilia’s technical chief, to sign the unpredictable yet precocious Italian. He has been pushing the same man to expand Aprilia’s test team. And through all the toil and recent frustration, the Catalan who hails from Granollers – 1km from the Circuit of Catalunya – sees the rest of his premier class future riding for the Noale factory. Viewing his entire career, this comes as little surprise. Until 2015, Espargaro’s CV had been something of a mixed bag. Or “a rollercoaster, a disaster” as he calls it. Rather than following the conventional path of two-three years in the junior categories before graduating to the next level, the Catalan moved to 250s after just 23 grand prix in the 125 class. He made his MotoGP debut a month after his 20th birthday and after a brief foray in Moto2, he had successful spells with Jorge Martinez Aspar’s CRT project, Forward Racing’s ‘Open’ Yamaha and Suzuki’s return to MotoGP. Little wonder he craves stability. Unlike all-but-two of his MotoGP contemporaries, Espargaro has never won a grand prix. But his ability to aid the development of Suzuki’s GSX-RR into a regular podium scoring package convinced Aprilia that, in his hands, the RS-GP could make a considerable jump toward the Hondas, Yamahas and Ducatis that have become the benchmark of the premier class. The struggles of recent team-mates (and Moto2 race winners) Sam Lowes and Scott Redding have only further underlined his talent. But Espargaro admits he is “a nervous guy.” He talks at speed and repeatedly mentions the stresses of being a factory rider: “A lot of people depend on our results. In Italy. In Noale. Here at the track. My family. My manager. The guys that work with me. The guy who drives my motorhome. My physical trainer. You pay a lot of people around you. This gives you a lot of pressure at home, a lot of pressure.” This was recently apparent, too. A crash out of the leading group in last year’s Australian Grand Prix was in part due to an inability to ride and think freely, the proximity of the class’ leading lights almost a weight on those slim shoulders. “I’m still emotional. I’m still a really emotional guy,” Espargaro admits. “[But] I’m working with my coach to have better control in the situations. This doesn’t mean that I have to lose my energy, to change my character. He always says the same: ‘You are like this. You are a nervous guy and like this. We don’t need to change this. An alleviation of that stress may also come from internal reorganisation in Aprilia’s factory team. Albesiano recently spoke of the need for his riders and technicians to work with greater calm, thinking only of the appointment with the grid at 14:00 on Sunday afternoon. Espargaro agrees, stating both he and Eschenbacher can work harder on this aspect.